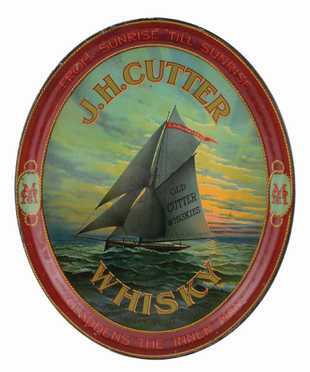 Featured is a beautiful sailboat scene on a metal serving tray for the J. H. Cutter Whisky brand, made by the C. P. Moorman & Company in Louisville, Kentucky. 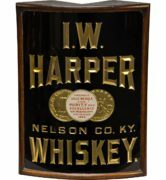 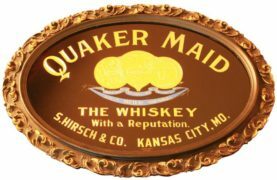 As was somewhat common around 1900, the spelling of whiskey is actually spelled as whisky on the tray, with a missing “e”. 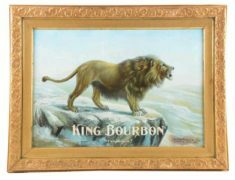 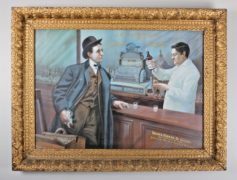 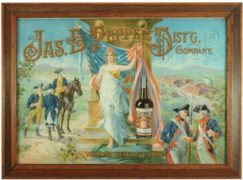 The tray is a great example of a pre-prohibition era liquor advertising piece.